Why Are Tolkien’s Villains So Compelling? 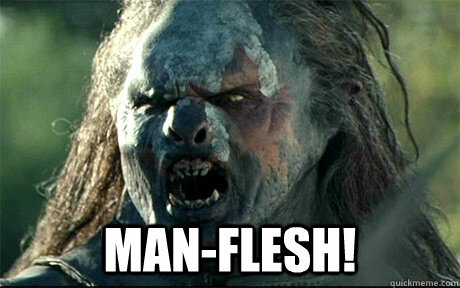 Every time I re-reard The Lord of the Rings, I’m struck anew by how absolutely compelling Tolkien has made his villains. In many ways, these formidable foes–Saruman, Sauron, the Witch-king–threaten to overshadow the protagonists of the novel. While we know a great deal about the heroes, their motivations, their ancestries, a great deal remains shadowy and unknown about their evil counterparts, and it is precisely this lack of detail that imbues these characters with such an irresistible allure, constantly drawing us to them even as the text denies us the full understanding that we desire. Take the Witch-king (and, for that matter, the rest of the Nazgûl). 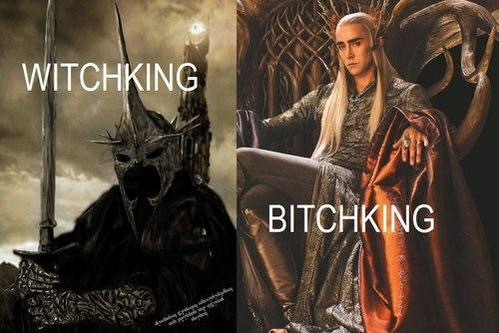 We know very little about them, except that they were a mixture of kings of Men who were seduced by Sauron’s promises of power that could be gained from his gift of nine Rings of Power. In fact, we know the actual name of only one of those figures, Khamûl the Black Easterling, and even of him we know only that he was second in power to the Witch-king, that he commanded Dol Guldur, and that he was the Ringwraith that the hobbits saw standing on the dock of Bucklebury Ferry. Everything else is merely speculation, and while there is certainly a great deal of pleasure in such an activity, it can never quite take the place of the authoritative word of Tolkien himself. Of course, Saruman, for all that he is one of the most corrupt and despicable of the villains that appear in the novel, also hovers just out of full sight. Sure, we know a great deal about him through Gandalf, but we never really get to see the workings of his mind in his own right. We don’t know, for example, how he set about his destruction and industrialization of the Shire, and we don’t get to see his interactions with Wormtongue (though Jackson’s film does provide some of the exchanges between the two of them). We don’t even know that much about his activities as a Maia in the West. The lieutenant of the Tower of Barad-dûr he was, and his name is remembered in no tale; for he himself had forgotten it, and he said: ‘I am the Mouth of Sauron.’ But it is told that he was a renegade, who came of the race of those that are named the Black Númenoreans. Tolkien was, as has been amply acknowledged, a genius at sub-creation. Yet he also knew that there were some things that should remain unknown, sometimes even to the author himself. The media scholar and theorist John Fiske, in his book Reading Popular Culture, notes that part of what gives enormously popular texts their appeal is textual poverty, and that certainly seems to the case with Tolkien. Indeed, there are quite a number of fan fiction texts surrounding the Mouth (I wrote one myself as part of a class ages ago), and these texts exploit this gap in Tolkien’s mythology to give the text even greater relevance, emotionally, intellectually, affectively. If imitation is the highest form of flattery, then Tolkien would be have to be one of the most flattered authors of the modern era. And that flattery, in my mind, is well-deserved indeed.